Pink Pangea is een internationale website speciaal gericht op vrouwen boordevol reisinformatie en reisverhalen van over de hele wereld. Een van hun correspondenten bezocht in november 2014 Kythira en nam tevens deel aan de Olijf-Pluk-Weken. Lees hier onder haar reisverhaal of bekijk hier de website van Pink Pangea. The warm, buttery Oia sunsets in Santorini, the southern charm of Crete, and the mazes of whitewashed buildings in Mykonos are some of the main attractions luring travelers to Greece. While it’s true that these are some must-see sites on your Mediterranean vacation, for me the ultimate treasure is one many travelers miss. A defining trait of my slow travel experience is making the major tourist destinations supporting characters rather than the main focus of the trips. My love of slow travel tied in seamlessly with my visit to the stunning island of Kythira. Ready to fall in love? Here are the four activities that shouldn’t be missed. 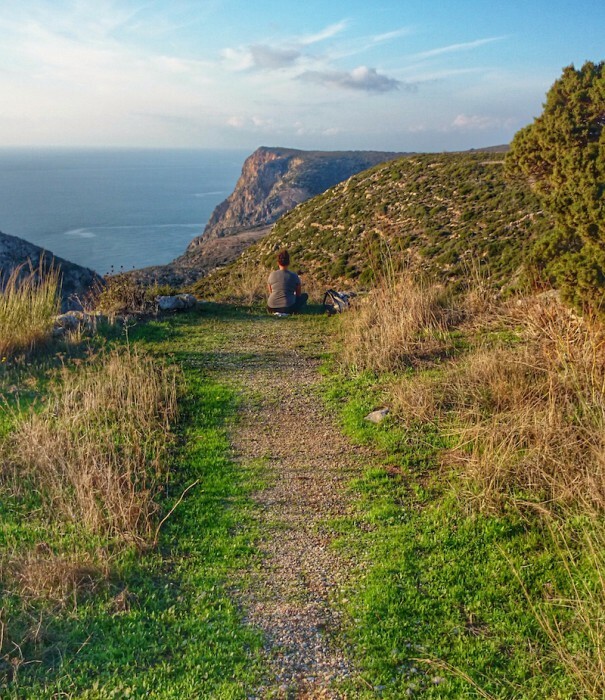 The slow travel movement is connected with sustainability, and one of Kythira’s main activities highlights responsible tourism. The region’s hiking project began as a way to make old trails and paths more accessible, which evolved into an ecotourism and sustainability endeavor. The trails are all easily marked, providing a route to beautiful, untapped valleys and serene mountain views. 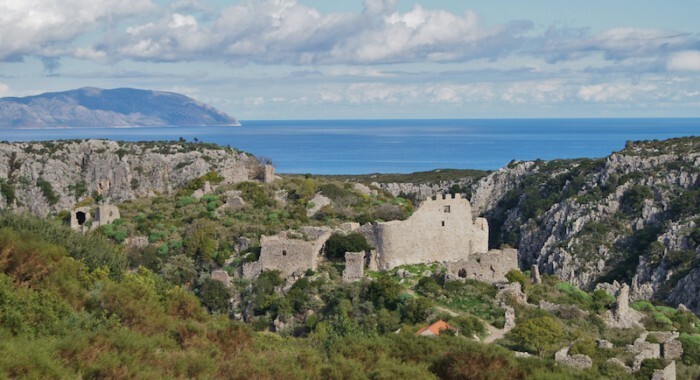 If blazing eco-friendly trails aren’t alluring enough, Kythira boasts some impressive caves beckoning to be explored, and its landscape rivals that of any other Grecian island. Plenty of places in Greece made me feel at home, but Kythira’s way of warmly revealing itself became the most welcoming. 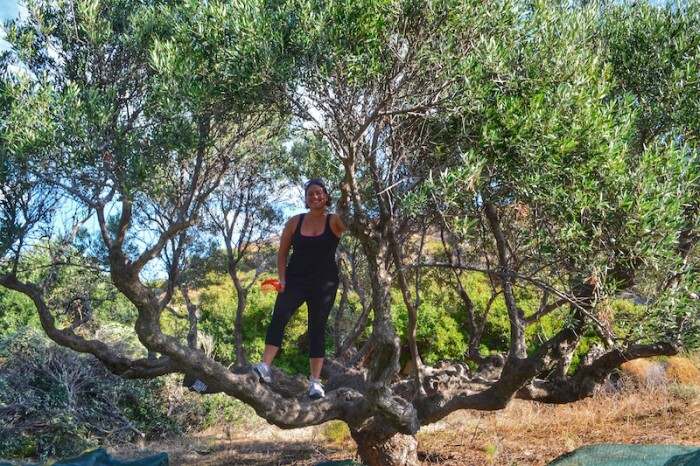 I spent my time there learning about the olive-picking season and how the olive groves affect the island’s inhabitants. My experiential trip to Xenonas Fos ke Choros enabled me to not only live in a more traditional small town but also brought me closer to a simpler, more relaxing way of life in Greece. All the residents were cordial and I found the best way to catch up on island gossip was to show up to the open market in Potamos in your Sunday best. Because slow travel allowed me to make more personal connections, I realized that each of the towns have something to offer beyond their quaint exterior. Even just sampling some delicious traditional food at a local taverna can prompt a deeper appreciation. 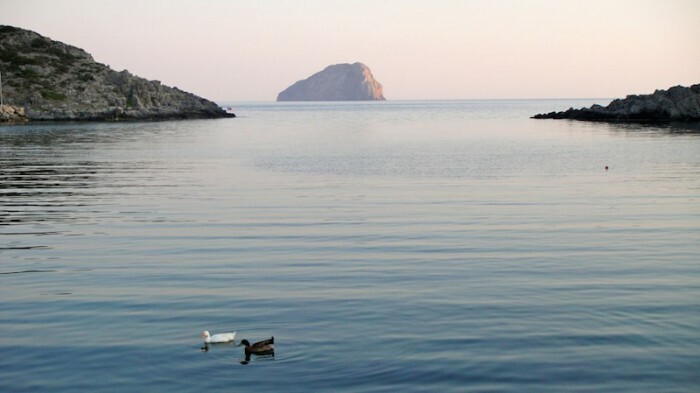 Mythology marks Kythira as the birthplace of Aphrodite, likely due to its beauty beyond compare. The intoxicating shorelines draw you down from the hilltops, revealing small, sandy beaches and unforgettably blue Mediterranean water. The benefit of spending time on such a small island is that there isn’t much more to do than relax and take in the gorgeous scenery. One of the more memorable views I uncovered was a small church clinging to a cliff at the edge of the water. Legend is that this church, Agios Nikolaos o Krasas, was built by a ship captain after being saved at sea. It is a breathtaking homage. Very few places I’ve been have made it as hard for me to leave as Kythira. I came to know the island so well, and when I left, I felt like I was saying goodbye to a little bit of home. This is a feeling you can’t get from hurriedly taking a tour bus through the historic sites. Slowing down and appreciating everything allowed me to open up a special place in my heart for Greece.